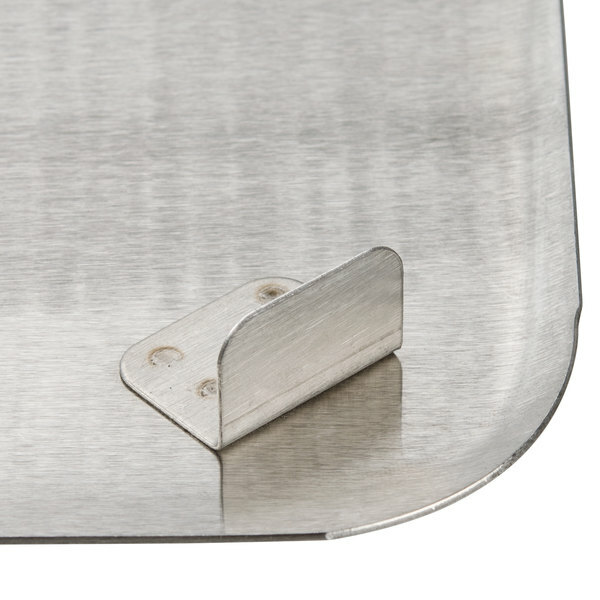 This steam table adapter panel is made of stainless steel. 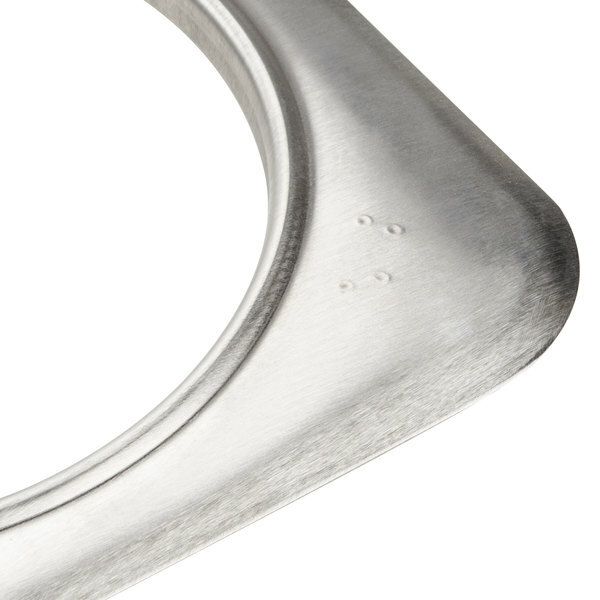 It's designed to fit full-size openings in steam tables to make them adaptable for round insets. This adapter has 3 holes, all three of which are 6 3/8" in diameter to hold 4 qt. insets. 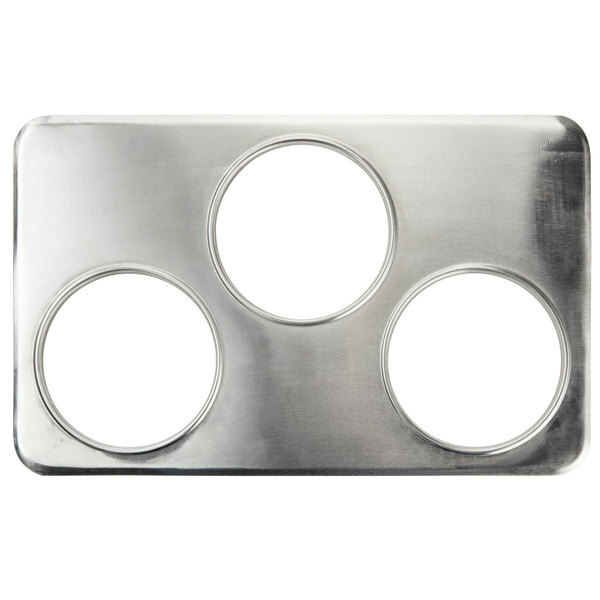 Overall dimensions are 21"L x 13"W.
2 Hole Steam Table Adapter Plate - 6 3/8" and 10 3/8"
6 Hole Steam Table Adapter Plate - 4 3/4"
2 Hole Steam Table Adapter Plate - 8 3/8" and 10 3/8"
2 Hole Steam Table Adapter Plate - 8 3/8"
Overall User Rating: 3 Hole Steam Table Adapter Plate - 6 3/8"
Really like this adapter plate as a divider to hold our different soups. It works good, and our stainless steel containers fit perfectly in them in our warmer. They are very easy to clean and good quality. This fits perfectly on the 12"x20" countertop warmer, which I use to hold melted chocolate for dipping. I display milk chocolate, dark chocolate, and white chocolate. Gives the warmer a nice look. This is a perfect addition to the avantco countertop steam table. 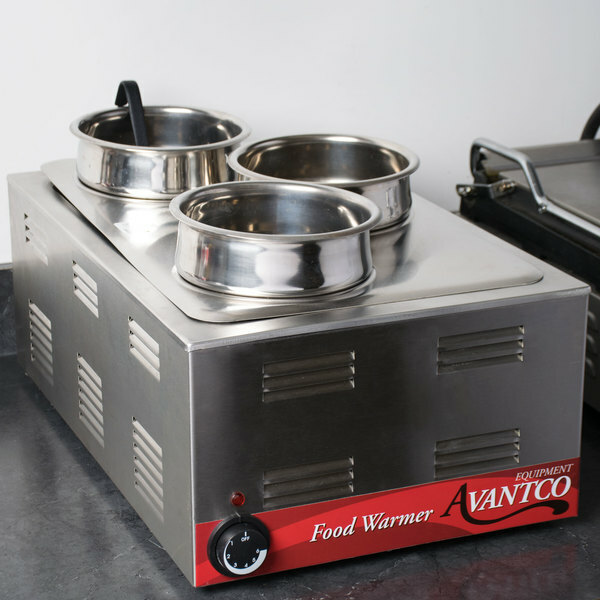 It keeps our Bain Marie pots suspended just above the bottom of the warmer so the water can circulate underneath. We are using this adapter plate as a divider to hold soup containers. This works well and matches perfectly with the warmer foundation and quart containers. 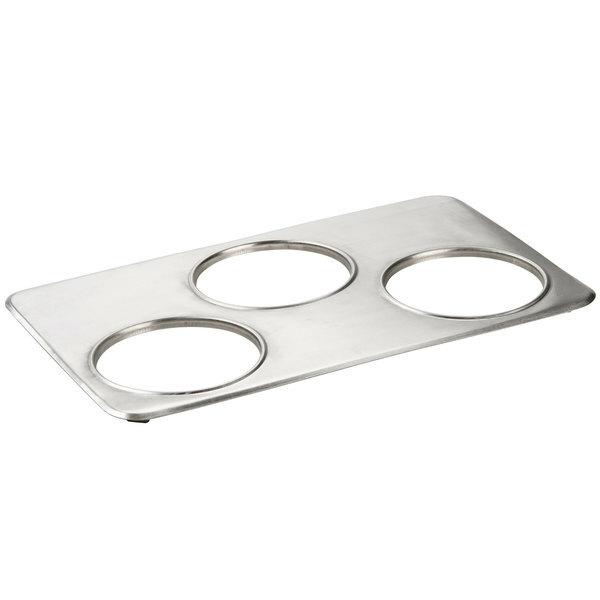 This adapter plate works great to change any hot well or food warmer into a soup warmer. The soup containers fit great. Easy to remove and clean. Pretty self explanatory but fits the 4 quart pots great. Fits inside the warmer perfectly with little or no movement have had others that dont fit so well. Great product, great price, super fast shipping - we used our current food warmer & updated it with (3) 4qt pots instead of (2) 11qts pots. Great flexibiblity! 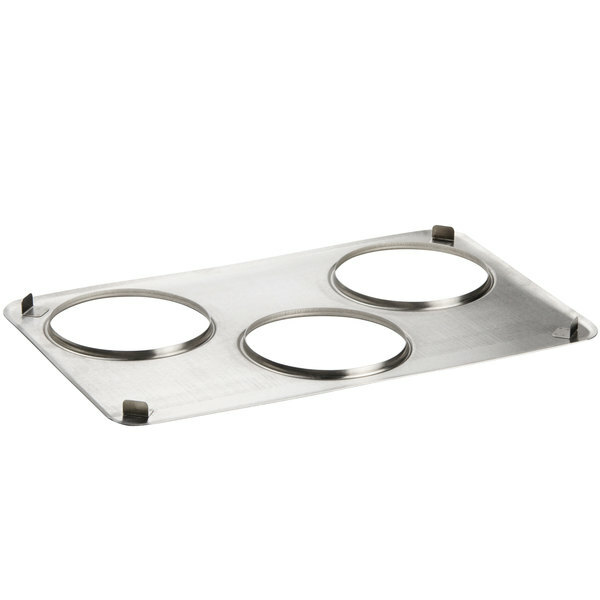 This steam table adapter allows you to put 3 inset pots in the food warmer, which gives you the ability to keep 3 different types of food. It is easy to put on and remove from the food warmer. Love the versatility that we get with these adapters - we use them on the steam table in our food truck, and also have used them with very good results in chafing dishes for catered events. They are sturdy and easy to clean; my only complaint is that the fit is a little off so they don't sit absolutely level. Not really a problem once you get the pots inside, but would rate them 5 stars if there were not a slight fit issue.